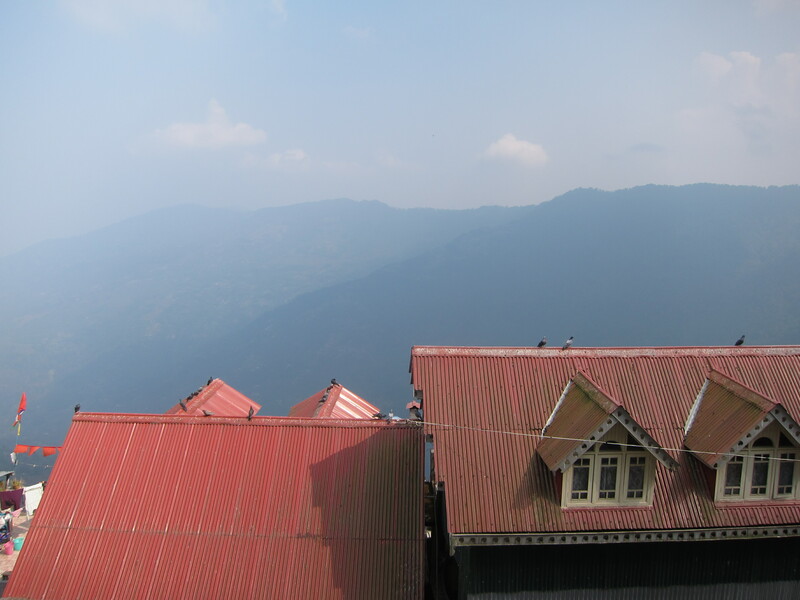 I first visited Darjeeling in the fall of 2011. I trekked the Singalila Ridge along the border of Nepal, where I had amazing views of Mount Kanchenjanga, the third highest peak in the world. I also tried Darjeeling tea for the first time. A steaming brew at Glenary’s, a Darjeeling landmark for years. At that time I knew little about tea and was used to drinking very strong black tea tempered with milk and sugar. But when I added milk to my Darjeeling black tea, it tasted…well, it tasted mostly of milk! After some investigation I soon learned that Darjeeling tea was meant to be drunk straight, with absolutely nothing added. Second flush tea from last year. Still very good. Free biscuits too! 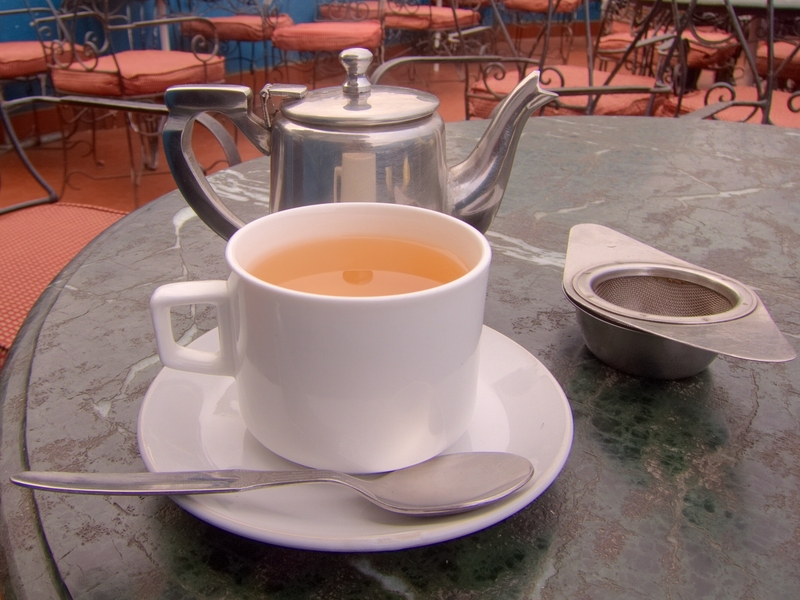 Darjeeling is what tea experts call a “self-drinking” tea. This means its taste is so distinctive and pleasing that its leaves don’t need to be blended with other types of tea leaves to enhance the flavor. And for those connoisseurs, it would be unthinkable (gasp!) to add any other flavor to the cup. I’m certainly not an expert, but after a few years of drinking different teas from China, Japan, Sri Lanka and India, I’ve come to appreciate Darjeeling tea’s unique flavor. Tea on the terrace of historic Keventer’s. This year I’ve come to Darjeeling at the start of tea plucking season, hoping to sample some of the delicate first flush tea. In order to be closer to the action, I had arranged to teach English at a school in a Darjeeling tea garden, but before going there I spent a few days in Darjeeling town. Misty view from my hotel room. Called the “Queen of the Hills,” the town of Darjeeling was originally a hill station set up by the British during the Raj era. At over 2000 meters elevation, it provided a cool respite from the heat of the plains below, and was a place to rest and recuperate from the ravages of tropical diseases. 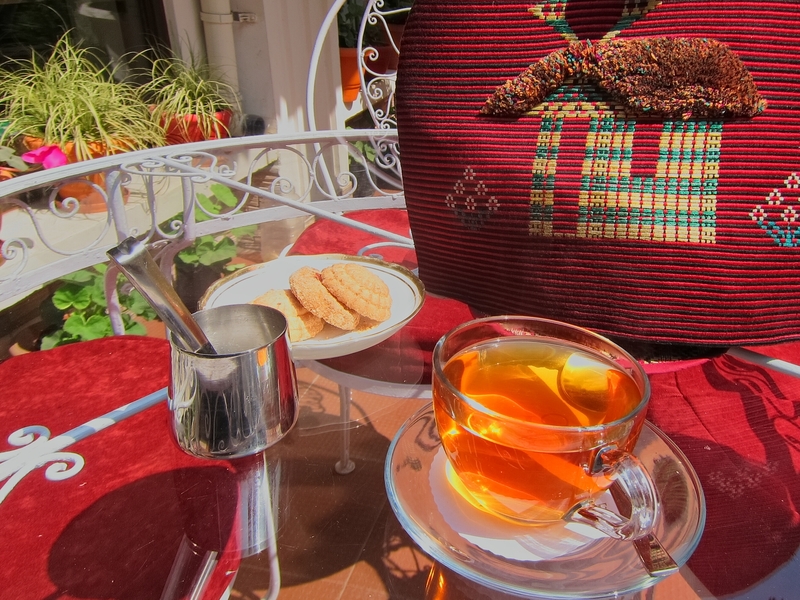 Tea, not being indigenous to the region, only took hold in Darjeeling somewhat randomly. When the British started growing tea in India, they planted tea in different regions, and weren’t particularly focused on Darjeeling. A Scotsman, Dr. Archibald Campbell, first planted tea here and found out that the “China” tea bush, Camellia sinensis var. sinensis, thrived in the misty highlands of Darjeeling. Furthermore, the tea had an unusual muscatel flavor that no other tea-growing region in the world has since been able to duplicate. A very bold name for a tea shop! Take note that for many locals, this is not West Bengal – it is Gorkhaland. After arriving in Darjeeling on March 1st, I found out that this year’s first flush tea wouldn’t be available for a few weeks. But I still enjoyed a few of last year’s first and second flush teas that were available at the local shops. Meanwhile, the tea gardens, with their bushes flushing with new leaves, were beckoning me! Come oh come ye tea-thirsty restless ones, the kettle boils, bubbles and sings, musically. Babies! 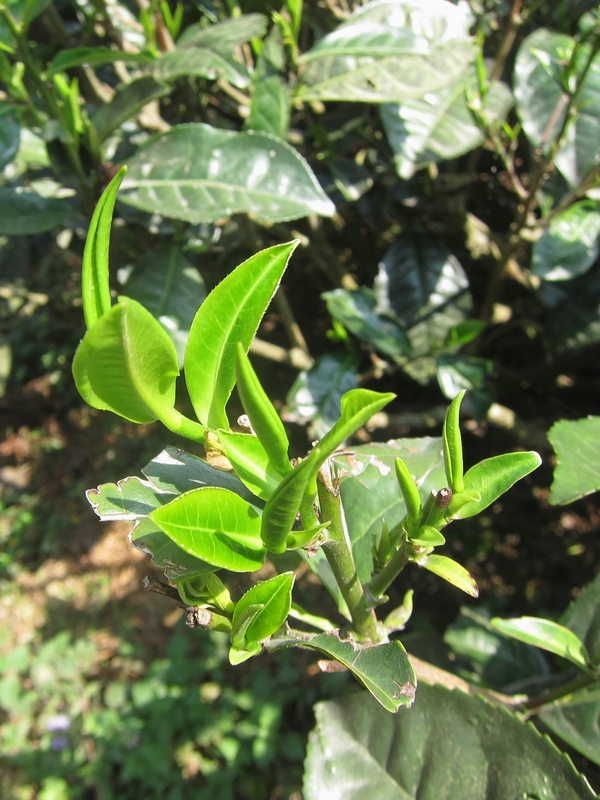 New buds and leaves growing on the Dooteriah Tea Estate. Yardley, Jim. “Good Name Is Restored in Terrain Known for Tea.” The New York Times. December 16, 2012. Beautiful pictures, Sharad! 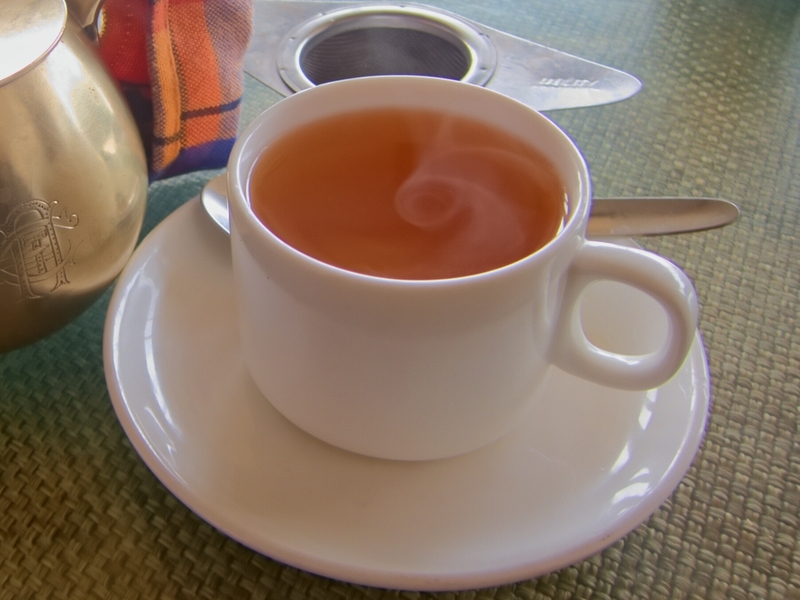 And I agree about Darjeeling tea – it tastes better without milk. Look forward to hearing more about teaching there. Making me appreciate tea a bit more. I’ll try my next Darjeeling plain. Thanks for the comment, Sally. Hope you’re well. I hope you are bringing some tea samples home for us! I didn’t realize that Darjeeling tea had a special flavor. 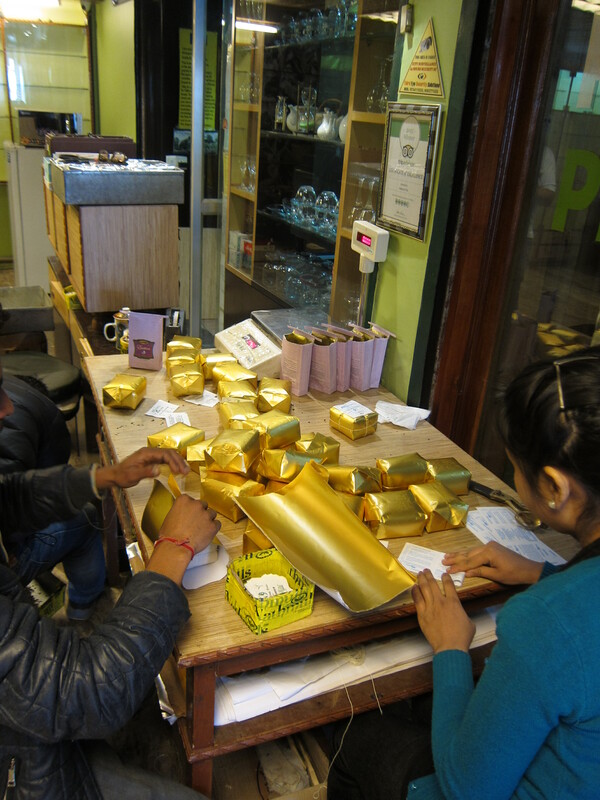 I’m working on it Jyotsna! “First flush” tea will be available in a few weeks.